When Stephanie's friend Emily disappears, she investigates and finds a slew of revelations. 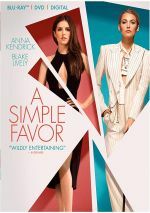 After a career built on comedies like Bridesmaids and The Heat, director Paul Feig shifts gears for 2018’s A Simple Favor, a thriller that introduces us to Stephanie Smothers (Anna Kendrick). Stephanie’s life changes when she meets stylish fellow mother Emily Nelson (Blake Lively). Though the loose cannon Emily seems like a bad fit for the straight-laced Stephanie, the pair become friends, and Stephanie spearheads an investigation when Emily suddenly disappears. This quest leads Stephanie down a series of surprising paths as she learns more about her mysterious friend. As I noted at the start, viewers associate Feig with comedy, though his filmography doesn’t concentrates solely on laughfests. For instance, 2003’s I Am David provided a serious drama. Still, Feig unquestionably remains linked to humorous work, so the Hitchcockian Favor acts as an obvious departure. However, Favor does stick with one Feig MO: a focus on female leads. Though his prior work showed no obvious gender emphasis, ever since Bridesmaids, Feig’s films have concentrated on female characters. This seems to work for Feig, and Favor doesn’t change that trajectory. While not a great thriller, the film nonetheless provides a pretty good tale. Being a Feig film, one should expect a decent dollop of humor from Favor. 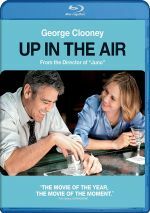 Although the director emphasizes the drama, he tosses out enough comedy to lighten the load and give the movie a nice zing that many genre enterprises lack. Indeed, I think Favor offers a much more comedic vibe than might seem true on the surface, and much of it could be viewed as genre parody. Look at Emily, for instance – she’s so over the top in her bluntness, depravity and style that it becomes tough to take her seriously. Stephanie also comes across like a broad character. She’s the cliché of the Ultra Mommy, one totally involved in parental life to the exclusion of all else. These elements give Favor a wry sense absent from most thrillers, and Feig clearly intended the movie to boast this sensibility. While he doesn’t make Favor a true comedy, he pokes fun at the genre enough to add some flair. Especially when various character twists materialize. The semi-caricatured nature of the leads allows the story’s curveballs to boast greater impact – because we don’t totally take the leads seriously, the darker moments come as a bigger surprise and hit home harder. I don’t know if Kendrick officially counts as the current “America’s Sweetbeart”, but she’s close, and that perception allows her to add punch to Stephanie. We’re so accustomed to Kendrick as the perky good girl that Stephanie’s path provides more punch than might’ve been the case with a less wholesome actress. Lively also pulls off Emily’s vibe well, as she lends the appropriate jaded, depraved tone to the role. She throws out an impression of glamour and darkness that makes the most of the part. While I still prefer Feig as a comedic filmmaker, he does well in this more dramatic effort. A Simple Favor becomes an engaging update on the Hitchcock model. A Simple Favor appears in an aspect ratio of approximately 2.00:1 on this Blu-ray Disc. This became an appealing presentation. Overall definition looked positive. A sliver of softness crept into some wider shots, but the majority of the movie offered nice delineation and accuracy. No issues with moiré effects or jaggies materialized, and I witnessed no signs of edge haloes or source flaws. Like so many modern films, Favor opted for a strong mix of teal, amber and orange. Despite the limitations of these choices, they boasted pretty good vivacity and represented the intended hues. Blacks seemed dark and dense, while low-light shots offered good smoothness and clarity. Ultimately, the image was more than satisfactory. In addition, the movie’s Dolby True HD 7.1 soundtrack suited the material. Music dominated the proceedings, and the score used the various channels in an involving manner. Effects had less to do, as they focused mainly on ambience. Still, a handful of more action-oriented scenes brought a reasonably dynamic sense on the occasions they appeared. Audio quality also pleased. Again, music became the most dominant aspect of the mix, and the score boasted fine range and impact. Speech came across as natural and concise, whereas effects seemed accurate and realistic. Nothing here dazzled, but the track worked for the movie. The Blu-ray packs a slew of extras, and we find three separate audio commentaries. For the first, we locate a solo track from director Paul Feig, as he provides a running, screen-specific look at story/characters, genre considerations, cast and performances, music and editing, sets and locations, cinematography, costumes and production design, and other connected areas. Bright, lively and engaged, Feig presents a rapid-fire commentary that covers a lot of good ground. He occasionally ladles on too much happy talk, but he’s so vibrant and fun that I easily forgive those indulgences. Feig creates a very informative and entertaining discussion. For the second commentary, we find Feig and actors Anna Kendrick, Blake Lively, Jean Smart and Bashir Salahuddin. All five sit together, though Salahuddin and Smart don’t join the other three until about one-third of the way into the piece. The five participants provide a running, screen-specific discussion. They look at story/characters, cast and performances, sets and locations, and various related topics. In terms of subject matter, the actors’ commentary resembles Feig’s solo chat, and it occasionally duplicates info from that predecessor. Still, the added participants bring their own perspectives. The Feig solo piece works better, but the actors’ commentary merits a listen. With the last commentary, we hear from Feig, writer Jessica Sharzer, producer Jessie Henderson, cinematographer John Schwartzman, and costume designer Renee Ehrlich Kalfus. All five sit together for a running, screen-specific view of the source novel’s adaptation and story/characters, the film’s path to the screen, photography, costumes, sets, locations and connected domains. While he dominated the first two commentaries, Feig acts more as a moderator here, and that format works well. We get a nice array of insights connected to the topics that involve the various participants, and the track brings us a slew of informative notes. Feig appears again for a Special Features Introduction. It runs a mere 17 seconds and seems utterly pointless. Some featurettes follow, and Gravestone Martinis fills 19 minutes, 40 seconds with comments from Feig, Sharzer, Kendrick, Henderson, Lively, and actors Linda Cardellini and Henry Golding. The clip looks at story and characters, cast and performances, and Feig’s directorial style. It’s a fairly superficial reel overall, though some good behind the scenes footage adds value. During the 12-minute, 27-second Suburban Noir, we hear from Feig, Schwartzman, Kendrick, Lively, Kalfus, Henderson, production designer Jefferson Sage and executive producer Mike Drake. “Noir” examines costumes, photography, sets, locations and visual design choices. It’s a generally informative piece. Feig reappears at the core of Dapper Director Dailies, a 10-minute, 34-second reel that offers thoughts from Feig as he takes us to the set on various days. A few comments from Lively arrive as well. Once again, behind the scenes material comes to the fore and allows “Dapper” to turn into an engaging show. With Love Triangle, we find a six-minute, 11-second piece that features Feig. “Triangle” adds some thoughts about the three leads and their climactic encounter. It develops into a fairly informative clip. Style By Paul fills four minutes, 46 seconds with info from Feig, Kalfus, Lively, and actor Joshua Satine. The program covers Feig’s personal fashion sense and its impact on the film. We get some decent thoughts here. In the four-minute, 55-second Dennis Nylon, we hear from Feig, Sage, and actor Patti Harrison. The clip examines the location of Emily’s workplace and the Nylon character. It becomes another short but informative exploration. Next comes A Simple Playdate, a four-minute, 33-second reel with Feig, Satine, and actor Ian Ho. We get info about the movie’s youngest actors in this decent overview. Excised footage appears via an Alternate Ending (4:53) and 10 Deleted Scenes (11:36). The “Ending” offers a tag for the Stephanie and Sean characters that offers some entertainment but seems to subvert the movie’s themes of female independence. As for the “Scenes”, most tend to give us some minor character points and exposition, along with a dollop of laughs. They’re decent but not memorable. The “Ending” and the “Scenes” can be viewed with or without intros from Feig. The “Scenes” intro lasts a mere 13 seconds, so it adds little. However, the “Ending” intro goes for one minute, four seconds. Feig lets us know background for the sequence as well as the reason for its deletion. Feig gives us valuable insights. We get a behind the scenes look at the “Ending” via Flash Mob Making Of. It fills five minutes, 23 seconds with material from Feig, Salahuddin, Golding, Ho, dance choreographers Stephen Boss and Allison Holker, and actor Jean Smart. We get some basics about the deleted “Ending” here. It’s not especially informative, as it mostly talks about how fun the scene is. Finally, a Gag Reel occupies three minutes, 30 seconds. It mostly delivers the usual goofs and giggles, but “frustrated Anna Kendrick” is adorable enough to carry the load. The disc opens with ads for The Spy Who Dumped Me, Blindspotting, Juliet, Naked, and Hell Fest. No trailer for Favor appears here. A change of pace for director Paul Feig, A Simple Favor takes him down a Hitchcockian path. Feig neatly blends suspense, comedy and drama to make this an engaging little thriller. The Blu-ray comes with largely positive picture and audio along with a slew of supplements. Favor turns into an entertaining genre effort from an unlikely source.